Following an autism diagnosis, you are likely to feel many things. Some moms may feel guilt. 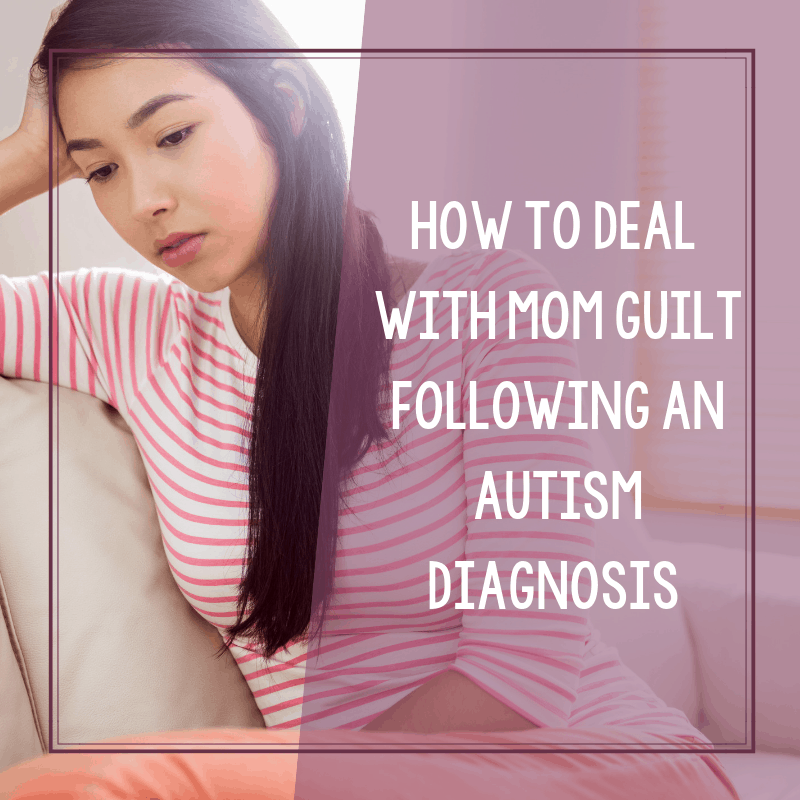 Here’s how to handle the autism mom guilt following the diagnosis. It’s part of the on-going process of dealing with the initial autism diagnosis. Should I Feel Guilt After An Autism Diagnosis? After my daughter was diagnosed, there were so many feelings that I grappled with. Some, I definitely expected (anger and sadness being at the top) but then there was more that I wasn’t quite prepared to handle. Nobody could have ever told me that I would contend with those things. Then, on top of all of that, there was the guilt. If someone had told me that I would feel guilty about my daughter’s diagnosis? I would have been more inclined to punch them in the face. Not because of how harsh their words were but because I could never conceive how I could possibly feel guilty. But then, it happened… dear friends, it was happening. I was starting to feel guilty about my daughter’s diagnosis. All of sudden, I wasn’t as angry or as sad about the diagnosis because now I had someone to blame. Now I could at least start filtering my problems towards a source. 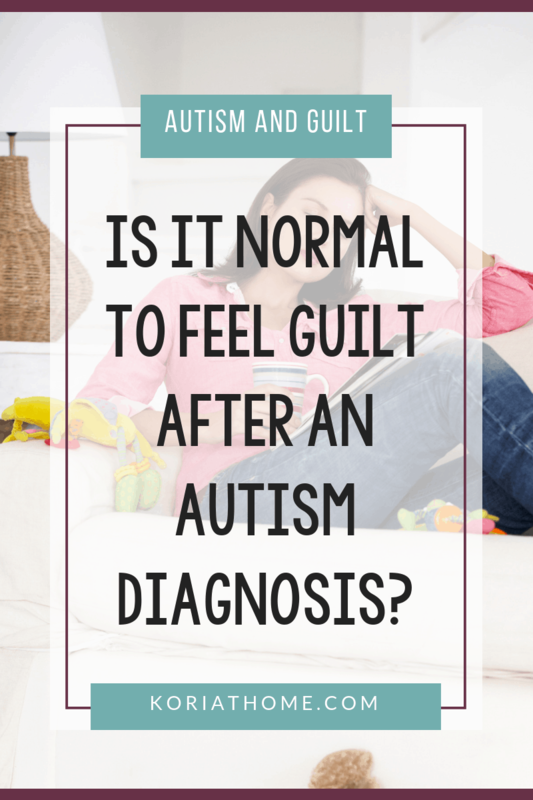 Is It Normal to Feel Guilt After an Autism Diagnosis? So then I started to wonder — is this normal? Do other parents feel guilt after an autism diagnosis? You wouldn’t realize, or maybe you would, that there are quite a few of us who do blame ourselves. We start to wonder what could we have done differently. We ask ourselves, how could we not have seen the obvious. Or, maybe we wonder, if there’s something wrong with us. And it starts to nag at you. It eats away at your self-confidence. It plants seeds in your head so that you get caught up in the shame-cycle of nagging guilt. Even if the more sensible side of you realizes that it’s not possible, at all, for you to really be the cause of this. Even if the more logical side of you knows that you couldn’t have done anything differently. Even if the more reasonable side of you has done all that you can do. First things first, you need to stop the cycle of self-doubt and blame. I know — easier said than done. In fact? It took me quite awhile to forgive myself and come to terms with the fact that there was nothing I could do. Or, at the very least, nothing productive. Blaming myself wasn’t going to get me anywhere. So I started to look for ways that would help. I started to look for the things that would help me cope. And I started to look for the things that would help my daughter. I admit, I still wasn’t dealing with the diagnosis in entirely healthy ways, but I was at least starting to shift the guilt away from myself. Learning how to forgive myself was key. And it was not an easy thing to do. And I can also tell you this: if you are having difficulties during this time? I’m here to help. I want to help you avoid what I went through. Because this is not something that anyone should have to go through alone. 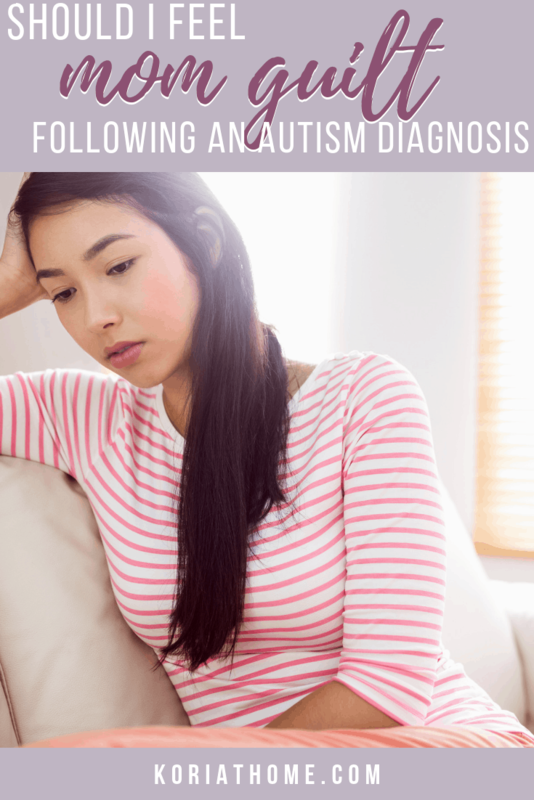 Grab a copy of my new autism diagnosis toolkit or schedule a virtual coffee chat with me. My son’s diagnosis initially unfolded much as you say, but as I myself was informally diagnosed and looked back at my childhood and discussed it with MY mother, I little by little began to love myself as a neurodiverse individual because of my love and acceptance for my son. I hope our love for our children can eventually help all of us emerge from guilt!